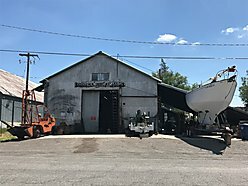 Check out this incredible welding machine shop for sale in St Anthony, Idaho. This 3000 square foot shop has plenty of room and lots of storage space! It is filled with lots of machinery and equipment that is negotiable to be included in the sale. Work all year round! This space is heated by a wood stove and gas heat. This is the perfect shop for your own business or personal use. Work and live in this friendly town of St. Anthony. Enjoy recreational adventures around you as they are just a quick drive away! Henry’s Fork, Quayle Lake, the Snake River, Yellowstone National Park, Grand Tetons and Blackfoot Reservoir! Give Hamilton Realty a call today at 208-624-4382 for your private showing today! Reduced from $225,000 to 190,000.